Ardnamurchan Loop, West Coast of the Scottish Highlands. At 80 miles long, it’s the perfect definition of what a great bike ride should be. Starting at Fort William we’ve got some great stage-by-stage road info. 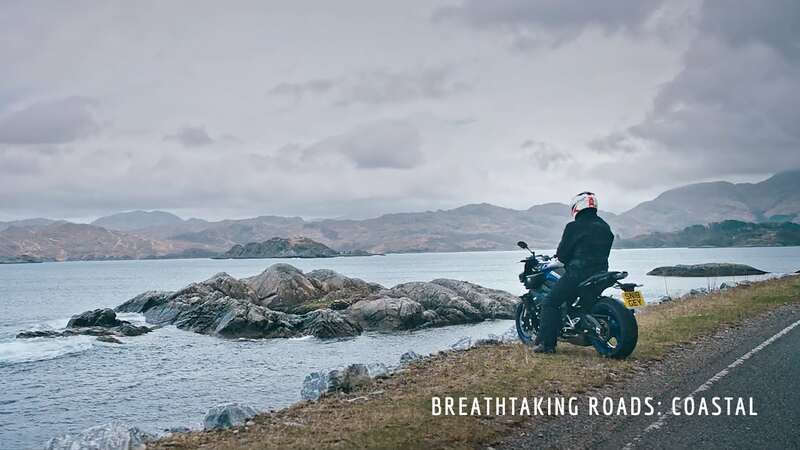 Meet our Coastal Road ambassador who has been exploring Scotland’s Breathtaking Roads on two wheels for over 20 years. The Ardnamurchan Loop, West Coast of the Scottish Highlands, combines sensational mountainous terrain, blasts of salty sea air, and characterful climbs with some of the finest scenery Scotland has to offer. The full breathtaking loop starts at Fort William, hops on a ferry, and sweeps round lochside and seaside villages until coming back around through stunning Lochailort and Glenfinnan.